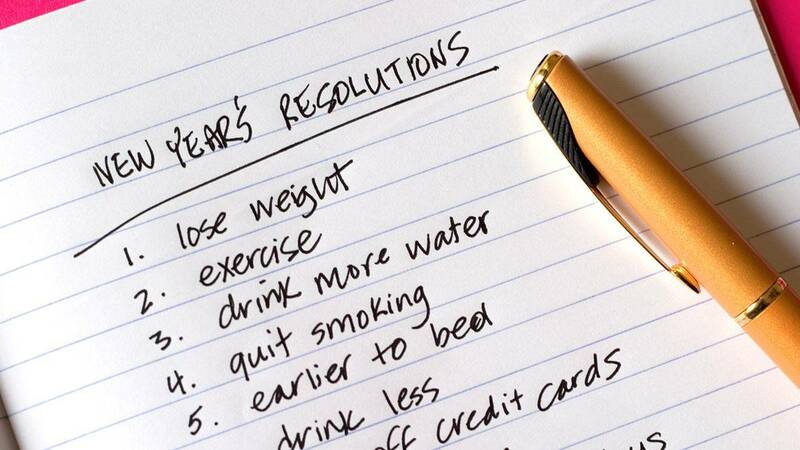 According to a psychological study, 80 percent of New Year’s resolutions fail by February. Statistic Brain backs this up by revealing that only 9.2 percent actually felt they were successful in achieving their resolutions in 2017. It starts with holiday remorse, the guilt-driven response you have to the excesses of the holidays—overeating, overspending, and overstressing. Add that to your year-end life reflections and you have the formula for sorrow and anxiety. As the New Year strikes, our hearts are brimming with the desire to lose weight, make money fast, or travel the world. But by February, gym memberships dwindle and people slowly go back to old habits. Is it because of self-sabotage? Somewhat, according to Psychology Today. Aside from procrastination, there’s also the improbable resolution to begin with. How many people actually get six-pack abs in just three months? How realistic is it to become a billionaire in just a year? But don’t give up on resolutions altogether. Here are more realistic ways to slowly change the course of your life. Performer-turned-entrepreneur Christine Kane first wrote about this concept in her blog several years ago. How it works: Pick a word that best describes your mindset and goals for the coming year—just one word. Hold on to that word throughout the next 12 months. Like the power of intention, let your “word of the year” guide you in your actions and decisions. It’s a gentler approach to improving your life. While there is no direct English translation, this Japanese term means, “reason for being” or “reason to get up in the morning.” In a 2001 study on ikigai, co-author Akihiro Hasegawa, clinical psychologist and associate professor at Toyo Eiwa University, placed the word ikigai as part of everyday Japanese language. Ikigai is now slowly gaining popularity outside Japan, as people believe that it’s the Japanese’s secret to a long and meaningful life. Start by asking yourself the following questions: What do you love? What are you good at? What does the world need from you? What can you get paid for? For the Japanese, it often has nothing to do with work or income. Finding your Ikigai isn’t simple; it takes a journey of self-discovery and reflection. This organizing system is part-journal, part-notebook, and part-planner. It uses bullet points or tick boxes as the main structure. It has taken over the lives of compulsive note takers and crafters in the last two years—and for good reason! Bullet journaling has helped people take better control of their busy lives, track their endless to-do lists, and focus on achieving goals. If you’re a bullet journaling newbie, don’t fret! There are plenty of instructional videos and blogs to help you. This DIY project has been around for a while. All you need is an empty jar or box and a notepad. Once a day or even several times a day, jot down what you are grateful for and why. It doesn’t matter whether it’s something grand or mundane. Include the date and time. At the end of the year, read all the slips of paper you’ve written on. The gratitude jar or grateful jar project will help you appreciate your strengths and blessings, and improve your outlook in life. These days, there are commercialized gratitude jars that you can purchase and give as a gift. Whether you’re buying or going DIY, the end goal is to spread more positivity in your life. Creating a new collage is a great way to jumpstart your year. You may keep it small by decorating a spread in your planner or designing your own desktop wallpaper. If you want something grander, take up an entire section of your desk, a big frame on the wall, or the entire wall itself. Whatever size you choose, don’t just fill it with the usual Instax photos and souvenirs. Choose a theme that will uplift your mood and inspire you to achieve your goals for the year. Some ideas: a travel mood board featuring your bucket list, a fashion mood board for that personal makeover you’ve been planning, or a career mood board filled with boss babe quotes and power dressing pegs.